Your aim is to do something GREAT and wonderful with your life, and to accomplish extraordinary things. However, you cannot simply go out and have a great life; you must go out and make a great life! 2. RESULTS: You must deliberately focus and direct your thoughts, words, feelings, gratitude and emotions toward the desired results. Meditate daily and visualize the end results, seeing yourself in the picture, using all 5 senses, for 5 minutes before going to sleep and/or after waking up. [Example: Fist pumping the air and high-fiving teammates after making a perfect tackle, receiving an “A” on a math test, or getting that job promotion and pay raise — feeling, seeing, hearing, smelling and tasting the experience.] Think, speak and act as if you already are a star player, an “A” student, or a business executive earning your desired income! 3. EXCELLENCE: Strive for excellence! The key to success in any field is to get good, get better, and be the best! When you resolve to be the very best at what you do, and to do more than the minimum required or expected, you will find very little competition. Your weakest skill usually sets the height at which you can use all your other skills. Ask someone you trust (teacher, coach, parent, brother) if they see any weaknesses in your performance (“feedback is the breakfast of champions”). Continually invest in yourself. Use your time wisely to improve your knowledge and skill and become excellent at what you do. Your daily choices of what to do, and what not to do, will determine everything that happens to you. [Example: You can choose to study and practice, or to watch TV and play video games – but either choice will lead to very different results.] Your actions must be consistent with your goals. Use your time in a manner that most helps you produce the desired results for yourself and your team. 4. Act Now! You must take action in the direction of your goal. Do something daily — homework, study, practice, work, research, exercise, etc., that moves you closer toward your goal. Procrastination is the big killer of human potential (putting off big, important tasks until later, or never getting to them at all). Procrastination is a habit based on inertia or fear. You can and must get over it! Make a habit of deciding what you want to do and then moving quickly, before you have time to think too much or become afraid. “Act boldly, and unseen forces will come to your aid.” Action gives you momentum that keeps you going after the average person has quit. Increasing vacancies, decreasing rents, negative cash flows, rising cap rates, imprecise valuations, severely constrained financing, and personal guaranties will continue to put severe pressure on over-leveraged commercial real estate owners during the next few years. As the wave of commercial property loan defaults begins to crest, borrowers should be armed and prepared with practical strategies and solutions for dealing with their under-performing properties and maturing loans. Consequently, regulators have recently issued new guidelines to help the institutions modify loan agreements. On September 16, 2009, the IRS issued eagerly anticipated guidance of significant help to borrowers with conduit financing (securitized loans). This guidance will allow some commercial mortgage loans held by Real Estate Mortgage Investment Conduits (“REMICS”) to be modified prior to default, without triggering adverse tax consequences to the holder. According to Foresight Analytics, the flexibility recently extended by regulators will apply to about $110-$130 billion of the $800 billion in underwater loans. Lenders and loan servicers will almost certainly become increasingly overwhelmed and inundated with troubled loans in 2010. Borrowers with distressed properties must prepare themselves to understand and compare all of their options, and then take a proactive and timely approach to alleviating their financial distress. In a maturing loan situation, when no other financing seems to be available, it may be possible to simply extend the existing loan for a fee (usually ½ to 1 point), in order to buy up to 2 years. Under these circumstances, a borrower would be well advised to approach its lender, approximately 4-6 months before the loan matures, with evidence of the borrower’s unsuccessful refinance efforts and a specific proposal for the extension. As part of the proposed extension, the borrower might also request other modifications such as an interest rate reduction, if appropriate. In a distressed property situation, a borrower should first carefully consider whether it makes economic sense to even try to save the property. Throwing good money after bad makes no sense. In making this determination, the borrower must formulate realistic projections about the net operating income, cash flow and cap rate over the next 1-3 years, and consider the opportunity cost of nursing an ailing property back to health instead of investing the resources into something more stable and profitable. Tax ramifications should also be carefully considered. Perhaps some equity and profit can still be preserved by a normal sale. However, if the borrower has no remaining equity, and his or her projections show little prospect for a timely recovery, then a short sale or deed in lieu of foreclosure might make more economic sense. Both of these options require the lender’s cooperation, and both may have significant tax and legal consequences, including with respect to previous tax-deferred exchanges and any forgiveness of recourse debt. In other situations, modification of various loan terms and other workout possibilities might provide the means for the investors and lender to salvage more of their investment and minimize their respective losses. The workout might include an interest rate reduction, amortization schedule adjustment and, in rare cases, a forbearance or principal reduction. Several factors can influence the loan workout process. For example, a commercial bank will generally have more flexibility than a special servicer for a commercial mortgage-backed security (“CMBS”), especially with regard to principal reduction. The lender’s willingness to negotiate a workout may also depend on the story of how the property has changed, and whether the proposed modification will fix the problem causing the distress. Certain strategies will also enhance the borrower’s ability to achieve a desired loan modification. The borrower should approach the lender early, before feeding the property for several months, and before going into default. Though not a necessity, it sometimes takes a monetary default for a CMBS loan to get transferred from a general servicer to a special servicer with workout authority. Lenders and loan servicers have their hands full now and, therefore, the borrower should make its case easily comprehensible and thorough by including an historical and pro-forma cash flow model, credible and fresh market research, and a detailed strategy for emerging from the distress situation. The borrower must recognize that the lender/servicer desires a sound borrower and asset manager, who contribute to the modification and who will not default in the future. In general, the borrower will benefit by presenting multiple modification options. CMBS loan servicers may also require an illustration of the net present value of various modification options. In addition to more stringent underwriting criteria shown in the 2009 refinance column, the NOI in this example decreased after the loan origination in 2007, due to increased vacancy rates, rent reductions, and expenses. Assuming the vacancy rate is now 15% instead of 5%, and rents are now 20% less than they were in 2007, then the NOI might approximate $408,000 instead of $600,000, and the property might easily have gone from having a good positive cash flow to a distressing negative cash flow. Using today’s cap rate of 9%, the property value has plummeted from $10,000,000 to $4,533,333, as shown in the 2009 column, such that all equity has been lost, and refinancing has become economically infeasible due to the current equity shortfall of $5,053,333. In this situation, the borrower might consider multiple concurrent strategies, including a short sale or deed in lieu of foreclosure (with a release of any guarantor), and a loan modification. The loan modification might include re-amortization over a longer period, with a reduction in the interest rate, and an elimination of principal reduction for a period of time sufficient to allow the property owner an opportunity to fill vacancies and improve rental income. In appropriate situations, the loan modification might even include a discount of the principal balance on the note as a means of incentivizing the owner to continue operating the property at least until it returns to stabilization. However, the lender may also require the borrower to demonstrate its continued financial commitment to the property by putting additional cash into an interest reserve or toward a principal pay-down. The importance of knowledgeable and experienced consultants to guide the borrower and guarantors through the process of a loan workout cannot be overstated. Borrowers will need to perform objective and sophisticated economic analyses and feasibility studies, income and expense projections, and property valuations. Terms and agreements will need to be negotiated with lenders and servicers. Transactions must be carefully documented for legal and tax purposes. Additionally, even a capable borrower would do well to employ a third party consultant to act as his or her negotiator and intermediary, and to provide emotionally and financially detached objectivity and advice. In a typical workout situation, the borrower will need a team of professionals which include a CRE lawyer, tax advisor, possibly a broker to provide a Broker Price Opinion to the lender and/or to market the property, and an economic/financial consultant to assist with preparing income and expense projections, forecasts, valuations and feasibility analyses. In some less common situations, other consultants may be beneficial, including bankruptcy counsel and litigation counsel. Strategic planning and preparation will greatly enhance a borrower’s chances of preserving invested capital, minimizing economic losses, and weathering the CRE storm. Borrowers and guarantors should carefully consider all of their options, and the consequences of each, with the assistance of qualified consultants. Then, if the workout strategy includes a potential loan modification, the borrower should present the lender or servicer with substantiated cash flow models, credible market research, and a detailed strategy for emerging from the distress situation. * Larry Murnane is a broker and lawyer in San Diego, California, emphasizing commercial real estate transactions, including CRE loan modifications and extensions. He is also the founder of Regal Properties, a Commercial Real Estate Investment Company licensed by the California Department of Real Estate, which works with a team of experienced consultants handling a variety of CRE loan workouts. This article is for general informational purposes only, and should not be considered legal, tax, business or investment advice for any particular person or matter. Each situation is unique in some respect, and the law as well as the real estate and financial markets and institutions are constantly changing, such that this article or the information in it may not apply to a particular situation, or may no longer be current and accurate. This article will provide a general summary of real property foreclosure procedures, timelines and strategies for borrowers and lenders in California. As a precursor, it helps to understand that the creditor typically has a promissory note evidencing the loan or mortgage, which is secured by a recorded deed of trust. The deed of trust identifies the trustor, trustee and beneficiary, as well as the property securing the note. The truster is the debtor, and the beneficiary is the lender. The trustee is a neutral third party instructed to cancel the note and reconvey the deed of trust upon payment of the obligation, or to foreclose on the property in the event of a default on payment of the note. Trustees will almost always require the original note to do either. The beneficiary/lender holding a deed of trust may generally foreclose by two different methods in California: (1) judicial foreclosure, and (2) non-judicial foreclosure (power of sale auction). The latter method constitutes about 99% of all foreclosures in California, for reasons discussed below. A judicial foreclosure requires court action (lawsuit before a judge), and is generally used only to resolve complex and subjective issues and disputes involving the chain of title, destruction of property (“waste”), and fraud. The other primary advantage to this method of foreclosure is the possibility of obtaining a deficiency judgment (i.e., a judgment against the debtor for the difference between the value of the foreclosed property and the amount of the debt). The primary disadvantage to a judicial foreclosure, and the reason so few creditors choose this route, is that the court action typically takes 8-14 months, at substantial expense to the creditor. The foreclosing creditor usually must hire an attorney to prosecute the case, while the debtor continues to occupy the property (and sometimes intentionally damage and strip it) without making any mortgage payments. Further, the outcome of the lawsuit can be uncertain. For these reasons, very few creditors pursue this method of foreclosure. A secured creditor may pursue a non-judicial foreclosure if the deed of trust includes a “power-of-sale” clause authorizing the trustee to sell the property for monetary default, as is common. This primary advantages to this method include expediency, relatively low costs, and a more certain schedule and outcome. A non-judicial foreclosure generally takes about 4-5 months to complete if handled by a qualified trustee. The primary disadvantage is the creditor’s inability to obtain a deficiency judgment against the debtor. The non-judicial foreclosure process basically involves three stages: (1) recording a Notice of Default, (2) publication, posting and mailing of a Notice of Sale, and (3) the trustee’s sale. 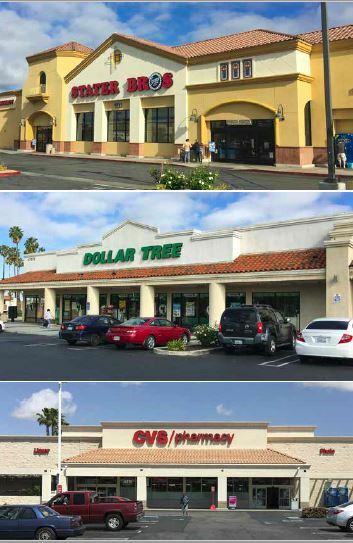 In the second stage, the trustee mails a Notice of Sale to the IRS and California Franchise Tax Board, if required, at least 25 days prior to the sale date; and at least 20 days prior to the sale date mails the same notice to the borrower and other parties requesting notice, and posts the Notice of Sale on the property and in a public place, usually the county courthouse. The trustee must also publish the notice for three consecutive weeks in a newspaper within the judicial district, the cost of which can be substantial in some areas. For owner-occupied residential property, Senate Bill 1137 also requires posting of a Notice to Residents and mailing of a Notice to Residents. The Notice of Sale is recorded with the County Recorder’s Office 14 days prior to the sale. In the third and final stage, the borrower’s reinstatement right expires five business days prior to the sale date, and the property is sold on the sale date, usually on the courthouse steps, to the highest bidder. At the sale, the beneficiary gets a credit for the opening bid, in an amount equal to the monies due the lender plus foreclosure fees and costs. Anyone else bidding at the sale must have cashier’s checks (payable to the bidder in case they are not used). After the sale, the trustee records the trustee’s deed and disburses funds to the lender. The successful bidder cannot obtain title insurance with respect to the purchase, though subsequent purchasers can. Under Senate Bill 1137, the party taking title at the trustee’s sale must also maintain the property, or risk a fine of $1,000 per day, and any tenants (other than the borrower/owner) must be given 60 days notice prior to being required to quit the property. Tenants can be required to pay rent during their occupancy. Contact a reputable trustee to handle the entire foreclosure proceeding. The California Civil Code generally allows for either the trustee’s fees or attorney’s fees to be passed on to the borrower through a non-judicial foreclosure, but not both. The trustee’s fees are fixed by statute at 1% of the debt balance, so unless the attorney can handle the entire foreclosure proceeding for less, it will be more economical to retain the trustee as soon as possible. After the sale, make sure any former owner-occupants receive a 3-day notice to quit, and any other tenants receive a 60-day notice to quit (assuming the city in which the property is located has not imposed a moratorium on evicting tenants of foreclosed residential properties). Because it can be tough to identify all of the occupants, and a defective notice has no legal effect, a 60-day notice is always safer. A plan to reasonably maintain the property should also be promptly implemented to avoid potential fines. In this regard, some lenders may find it economically prudent to offer the occupants approximately $1,000 to turn over the property in good and undamaged condition, along with the keys at the time of sale. A borrower in default or on the verge of default should promptly contact the lender to discuss options, including: (1) forbearance or restructuring of the loan, (2) a short sale, and (3) a deed-in-lieu-of-foreclosure. Often lenders would rather modify the loan (e.g., lower the interest rate, re-amortize the loan over 40 years, reduce or defer a portion of the principal balance, etc.) and forgive late fees than take the property back. However, assuming the borrower and the lender cannot agree on a loan modification or forbearance, the borrower should ask the lender if it will agree to a short sale or a deed-in-lieu-of-foreclosure. In a short sale, the lender agrees to accept less than the amount owed on the loan because the loan amount exceeds the property value. Before signing a purchase and sale agreement contemplating a short sale, the seller should get the lender’s approval, or condition the sale on the lender’s approval within a specific timeframe. If more than one lender is involved, both will have to be consulted, and the holder of the first deed of trust will usually need to agree to give the holder of the second at least a small portion of the sale proceeds in exchange for cooperation. A deed-in-lieu-of-foreclosure only works if the lender desires to take back the property. If so, the borrower can offer to deed the property back to the lender, and pay for the lender’s title insurance policy (to protect against junior liens), for the purpose of avoiding the expense and embarrassment of foreclosure and, possibly, preserving a better credit rating. The lender will also want to make sure commercial property or vacant land has not been environmentally contaminated, and may even require the borrower’s indemnification against this risk. If the lender will not cooperate with the above three strategies, and the foreclosure sale appears imminent, the borrower can possibly delay the sale by: (1) asking the lender to postpone the sale to allow more time for reinstatement, (2) filing for bankruptcy protection, (3) seeking a court injunction, and (4) requiring the lender to produce the original promissory note (which sometimes gets lost in the packaging and bulk-selling of loans). However, employing any of these tactics will simply delay the trustee’s sale, not prevent it. Filing a homestead exemption, transferring title, leasing the property, and even death, will not likely avoid or delay the inevitable. As stated above, the debtor has no personal liability for the deficiency in the event of a trustee’s sale. However, this difference between the balance of the mortgage and the sale price has generally resulted in taxable “phantom income” to the borrower in the form of forgiveness of debt, causing the lender to send the borrower a 1099-C. The recent Mortgage Forgiveness Debt Relief Act of 2007, now excludes from gross income any amounts attributable to discharge of indebtedness incurred to acquire a principal residence, up to $2,000,000, until January 1, 2010. California’s Franchise Tax Board has adopted similar provisions. This benefit only applies to taxpayers who lose their homes in 2007-2009, and does not apply to investment properties or second homes, or to mortgages incurred subsequent to the home purchase. Foreclosures have grown at such an alarming rate in recent years that law makers have attempted to stem the tide with recent legislation designed to force lenders to slow down the process and work with borrowers for alternative solutions. Lenders have been encouraged to adopt loan modification programs intended to help borrowers stay in their homes. Such programs typically include some combination of an interest rate reduction, extended amortization period, deferral of a portion of the principal amount until loan maturity, and reduction of principal, in order to target a ratio of the borrower’s housing-related debt to the borrower’s gross income of 38% or less. In those situations where the borrower simply cannot or will not cure the default or reach a loan modification agreement with the lender, or the lender will not agree to a short sale or a deed-in-lieu-of-foreclosure, then the lender will likely commence a non-judicial foreclosure, which will take at least four months to complete (while the borrower is not making any payments). Upon such foreclosure, the borrower loses his or her entire ownership interest in the property, but will not be liable for the deficiency; and the lender now has a distressed property on the books to maintain and sell. Therefore, the borrower and the lender might both have been better off if they had successfully negotiated an alternative solution with the help of an objective, qualified professional. This article is for general informational purposes only, and should not be considered legal advice for any particular matter. Each situation is unique in some respect, and the law is constantly and rapidly changing, such that the information in this article might not apply to a particular situation, or may no longer be current and accurate at the time of reading. 1. Require a written confidentiality agreement before discussing any rent or other lease modifications with the tenant, to reduce the risk of opening a Pandora’s Box with other tenants. 2. Ask the tenant to provide a current financial statement, a report of annual sales for the last 2 years (to show trending), and the most recent income tax returns, to assist the landlord in confirming the need and amount of an appropriate rent adjustment. 3. Ask the tenant how he or she plans to repay the abated rent, explaining that any abatement is merely a temporary measure to improve cash flow, and must be tacked on to the end of the lease or otherwise included in a restructure. (e) Any exclusive use provision in the lease shall be stricken. (h) In the event of an uncured default or breach of the lease, then all conditionally abated rent shall become immediately due and payable to landlord. Any modification of lease terms, including the abatement or restructuring of rent, should be properly documented in the form of a mutually executed amendment to lease, using terms consistent with the lease and prior amendments, by a lawyer or broker skilled in drafting such agreements. Starting a new business involves several difficult decisions. One of the most complex of those decisions, with significant consequences, is choosing whether to operate the business as a sole proprietorship, partnership, corporation, or limited liability company (“LLC”). This decision should be based upon careful consideration of a number of factors, and a comparison of the advantages and disadvantages of these alternative business forms. A sole proprietorship is simply a business conducted by an individual rather than a separate entity such as a partnership, corporation or LLC. Key advantages to this form of business are: (1) it is relatively easy and inexpensive to form and operate; (2) it requires only one owner; (3) there are no separate franchise taxes or corporate formalities; and (4) there is no double taxation on income because the business profits and losses are simply passed through to the owner. The primary disadvantage to a sole proprietorship is that the business owner has unlimited personal liability for the debts and obligations of the business. A partnership is an association of two or more persons who co-own a business for profit. Partnerships may be general or limited in form. In a general partnership, each partner can bind the partnership by contract, and is personally liable for the obligations of the partnership. California does not require filing of a certificate or articles with the Secretary of State to form a general partnership. Although oral partnership agreements are permitted, the agreement should be in writing, and specify all the terms of the parties’ business relationship. A general partnership is dissolved upon the death or withdrawal of any partner, absent a written agreement to the contrary. A limited partnership is a partnership with one or more “limited partners” (partners who contribute capital but do not participate in the control of the business and who are not personally liable for the obligations of the partnership), and one or more “general partners” (partners who actively engage in the management and control of the business and who have unlimited personal liability for the obligations of the partnership). General and limited partnerships are usually not subject to federal or California income tax, (although limited partnerships are subject to an annual franchise tax, and are required to file a certificate of limited partnership with the Secretary of State). The primary advantages and disadvantages of a partnership are similar to those of a sole proprietorship, in that profits and losses may be passed through to the partners, thereby avoiding double taxation on the income if the partnership is properly structured, but the general partners have unlimited personal liability. Limited partners generally have no liability beyond their partnership investment. In contrast to a sole proprietorship or general partnership, a corporation is a separate entity that protects the business owner(s) from personal liability for business debts. In order to maintain the liability protection afforded by the corporate entity, the corporation should be adequately capitalized, and the officers and directors of the corporation should strictly adhere to the formalities of holding regular meetings and keeping accurate minutes and records. The income of a standard “C” corporation is taxable at the corporate tax rate, which may be lower than the individual’s rate, but may also cause the owners (shareholders) to pay double taxation — once on the corporation’s income, and again on the shareholders’ dividends or distributions. In theory, a highly profitable corporation may actually save taxes for its shareholders by operating in C form, assuming the corporation’s profits can be reasonably paid to the shareholders as salary or other compensation. The double taxation of a corporation can be minimized in certain cases by paying salaries to the shareholders or by making an “S” corporation election. Upon making a valid S election, all corporate profits and losses are simply “passed through” proportionately to the shareholders in a manner similar to a partnership. If the S election is made upon formation, shareholders can also avoid two levels of tax on the sale or distribution to them of the corporation’s assets upon liquidation, as the gain or loss will simply pass through to the shareholders to be taxed once. S corporation shareholders might also be able to reduce employment taxes by paying themselves some corporate profits in the form of dividends above their “reasonable” salaries. However, there are important restrictions on the ability to qualify for an S corporation election (e.g., 75 or fewer shareholders, with further restrictions on who can be a shareholder). Additionally, S corporation employee-shareholders do not receive tax-favored treatment for fringe benefits (other than retirement plans) if they own more than 2% of the outstanding stock. Benefits such as life, health and accident insurance will be currently taxable to such shareholders and may not be deducted by the corporation. Although a corporation is fairly easy and inexpensive to form, it is usually required to pay a minimum State annual franchise tax of $800. However, Assembly Bill 10, which was chartered on July 6, 1999, exempts every corporation that incorporates or qualifies to do business in California on or after January 1, 2000, from the minimum franchise tax (prepaid to the Secretary of State) for its first taxable year; however, the corporation must still pay income taxes on the income from the first year (if any). Other advantages of a corporation over most partnerships and LLCs include the free transferability of corporate shares, and the continuity of business even upon the withdrawal or death of shareholders. LLCs are a relatively new form of business organization that may be treated like a partnership for income tax purposes, and like a corporation for liability purposes. Formation and operation of an LLC that is organized, registered, or doing business in California requires filings with the Secretary of State, and payment of an annual franchise tax of $800, for the privilege of doing business in California. Unlike S corporations, LLCs may have an unlimited number of owners (referred to as members), which may include corporate or non-resident owners. Additionally, as of January 1, 2000, California no longer requires LLCs to have a minimum of two members. Since most business owners desire to avoid personal liability for business debts, and double taxation of the business income, an LLC may be the best alternative. A properly structured LLC provides protection against personal liability of its members, much like a corporation does for its shareholders. Although LLC members, like corporate shareholders, can be personally liable under certain limited circumstances, they cannot be personally liable for failure to hold meetings or to observe formalities pertaining to meetings, as shareholders can. An LLC is also typically treated as a partnership for tax purposes, allowing personal deductions for business losses, and thereby avoiding double taxation of the business income and distributions. While an LLC has many advantages, it is not always the preferred choice of business entity. An LLC may have certain restrictions on the transferability of interests, and on the continuity of the LLC’s life. In addition to California’s annual franchise tax, LLCs are required to pay an annual fee based on total income from all sources reportable to this state for the taxable year, ranging from $900 for total income over $250,000, to $11,790 for total income over $5,000,000. Therefore, an LLC may not be economically practical for a business with large gross receipts and narrow profit margins. An LLC cannot deduct medical expenses for members, and the receipt of this benefit is considered income to the people insured, unlike for shareholder-employees of C corporations. An LLC might also be less desirable than a corporation when most income is going to be reinvested in the business. On the other hand, an LLC would almost always be preferred to a general partnership. LLCs are also the preferred entities for real estate investments, because they combine limited liability and flexible management with the ability to pass through losses and deductions, to make special allocations, and to avoid double taxation on the sale of appreciated assets. Deciding on the best form of business requires careful consideration of such factors as ease of formation, transaction costs, liability of owners, tax consequences, ease of transferability of ownership interests, and the continuity of business, among others. The decision can have profound and lasting consequences on both the business and its owner. Therefore, before forming or starting a business, the owner should invest some time and effort, or consult with qualified professionals, to determine the most advantageous form of business. Larry N. Murnane is a real estate lawyer and broker in San Diego, California, emphasizing business and real property matters. What is the Meaning of Life – our purpose for being here? In a word — the purpose of life is to be happy. So the question then becomes, how do we find true and lasting happiness? Happiness is a choice and a process that we engage in every moment of every day, by thinking positive, expressing gratitude, living healthy and harmoniously, loving each other, giving generously, forgiving munificently, pursuing our passions, and accepting full responsibility for our lives, without blame, and regardless of circumstances. Consistently choose happiness to live a meaningful life!